Damien Chase and Kristen Hunt are partners who have very different views on how to investigate a case. Chase is a ten year veteran of the Bureau and uses his gut feelings and years of field experience to guide him. Hunt is a rookie to the Bureau with two years experience. She uses her book knowledge in the area of Criminal Profiling as her guide, while also learning from Chase. 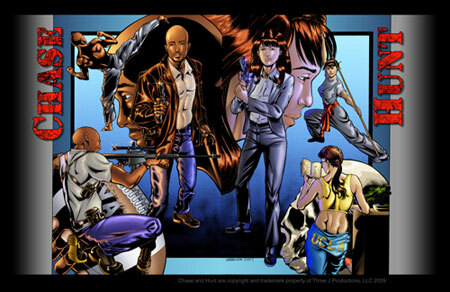 Size: 11 X 17 A Collectible Print with brilliant colors and images rendered on durable card stock quality paper and packaged in an Archival quality, Acid Free, 16 Mil rigid Plastic Sleeve to protect and preserve the Print's mint condition.